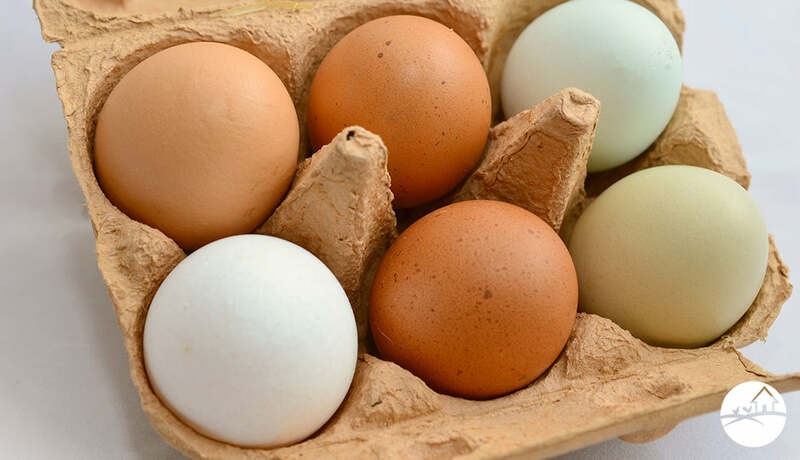 Thanks to the confusing labeling of commercial egg packaging there really is only one way to ensure your eggs are ethically produced - by producing them yourself! “Here at Backyard Chicken Coops we love to let our chooks free-range. For us, this means letting the girls out into the yard to stretch their wings, and scratch to their heart’s content. This is the image most backyard chicken keepers have when they think of free-ranging. Unfortunately, that beautiful word doesn’t have the same meaning when you step into the supermarket. Instead, if you want delicious eggs from happy hens, you’ll need to get a flock of your own ladies...” - Ethical Eggs – Free Range or Pastured? There is virtually no waste in the day to day keeping of chickens that is not useful. Their spent eggshells can be added to compost or ground up and fed back to them as shell grit - essential for calcium intake. Their messed bedding can be added to the compost or simply laid down as nutrient rich mulch on your vegetable and garden beds Even their poop is an asset to your garden! 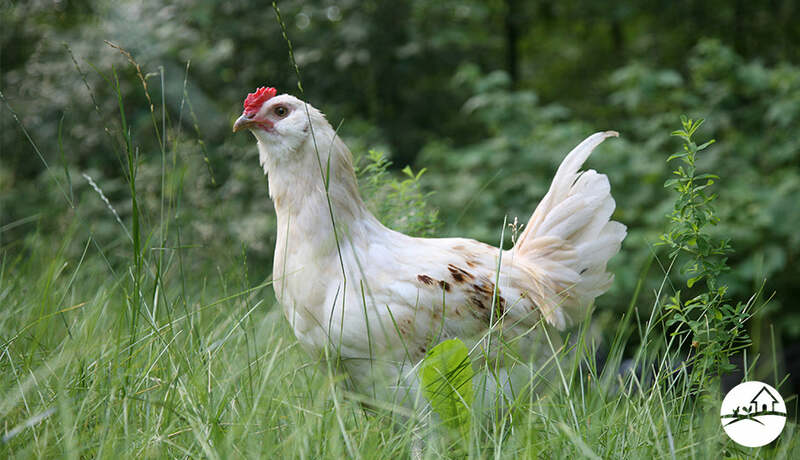 “Chicken litter compost is a favourite of coop keepers who are also avid gardeners! It feeds your garden with a hearty mix of nutrients and minerals, and means that your chooks play another vital role in in the upkeep of their home (aside from egg production, pest control and provider of chicken hugs! ).” - Can I Use Chicken Manure As Fertilizer In My Garden? Did you know that chickens are descendants of the dinosaurs?! It’s true! Your backyard flock may be small in stature but they are very clever girls whose hunting instincts are second to none. 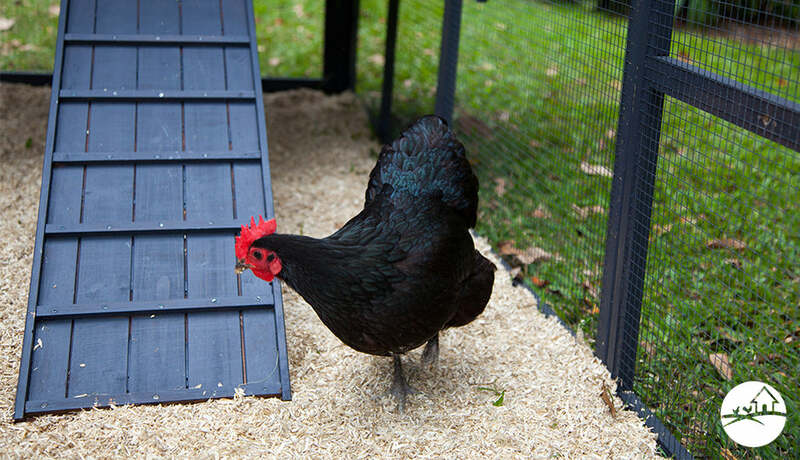 Garden pests and parasites such as grasshoppers, flies, grubs, ticks and termites don’t stand a chance when your hens are stalking the garden for treats. Teaching our kids about sustainable living is best done in practice. 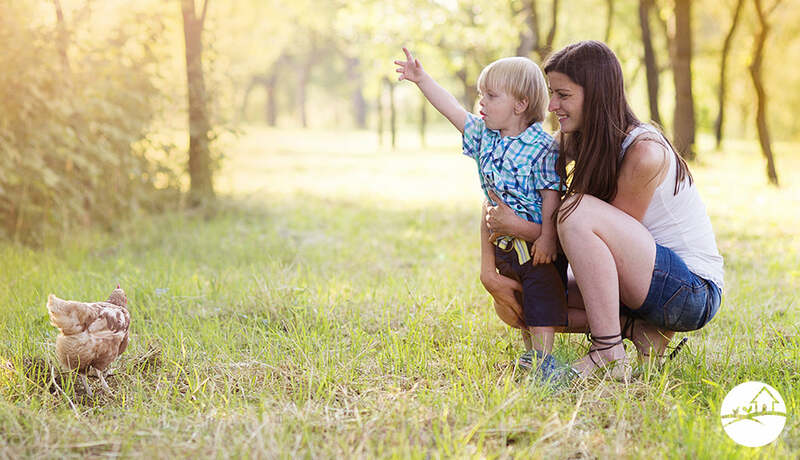 Chicken keeping is an interactive and fun way for children to learn about the life cycle, ethical and sustainable practices, food sources, empathetic pet care AND it sparks an interest in nature and natural animal behaviours. There’s really nothing a chook can’t teach a kid! 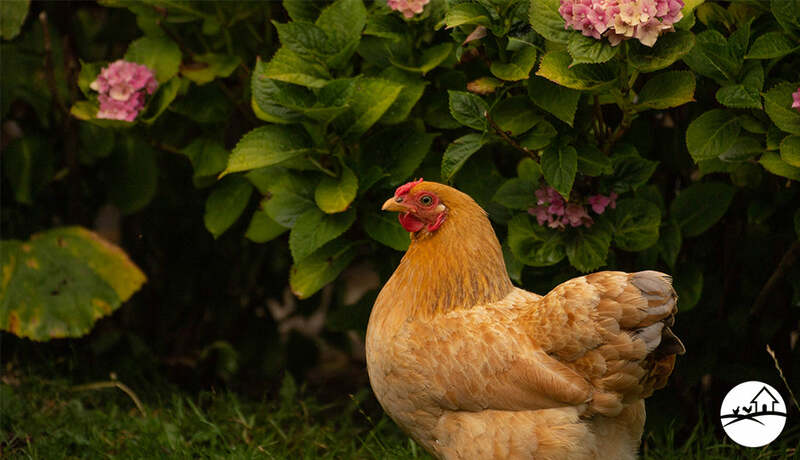 Learn more about how chickens can improve your lifestyle here and if you’d like to give a hen a happy home have a peck at our guide to adopting an ex-battery chicken right here.